We don't know how he does it, but Ohio-bred lo-fi legend Robert Pollard has announced he has yet another solo LP hitting out ears this year. 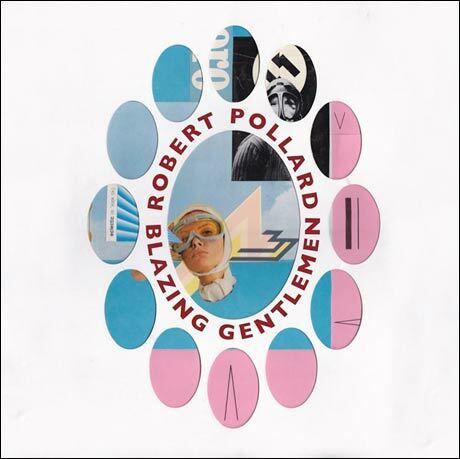 Dubbed Blazing Gentlemen, it arrives December 10 through GBV Inc.
A press release for the record notes that Pollard has "finally figured out how to write a song after 55 years." We'll add that this means it also took him thousands upon thousands of songs. This time around, the prolific writer went about crafting his words by taking down "phrases and titles, bits of overheard conversation, snatches of misheard movie dialogue" that he figured might make for good song titles. From there, he would work on lyrics, figure out a vocal melody, and then sit down with a guitar to pen the arrangement. While this all sounds fairly straightforward, this is apparently the first time Pollard has gone about constructing a song cycle as such. While a tracklisting hasn't yet been delivered, Blazing Gentlemen is said to feature 16 songs that feature "lyrical twists that will delight even the word-shyest rockphobe." This includes "Tea People," "Extra Fool's Day" and "This Place Has Everything." Musically, the LP promises to feature "unusual chord progressions made up of unusual chords jutting against off-kilter rhythms in ways that shouldn't work but never do not," while Pollard's vocals are said to be soaking in effects. Of course, this is just part of Pollard's upcoming swell of releases between now and early 2014. His Circus Devils project pumps out both When Machines Attack and My Mind Has Seen the White Trick on October 29 through Happy Jack Records. That same day he'll issue his "Tonight's the Rodeo" solo single via GBV Inc. It's A-side will appear on Blazing Gentlemen but feature an exclusive, extended version of Honey Locust Honky Tonk's "Suit Minus the Middle" called "Astral City Slicker." He'll follow that release up with the "Return of the Drums" 7-inch on November 26. Perhaps most importantly, his beloved Guided By Voices have their Motivational Jumpsuit bouncing our way sometime in February. For now, listen to "Tonight's the Rodeo" below.